Located in the Netherlands and interested in playing slot games online for the chance to win real money? 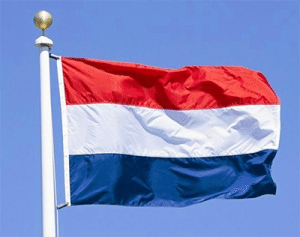 Read on to find out more about the online gambling laws for Dutch players and the best online slot sites catering to the Netherlands. From time to time you may hear us mention the “pokies.” If you have no idea what we’re talking about, “pokies” is simply the Australian colloquial name for slot machines. Slots and pokies are exactly the same thing, so don’t let our Aussie writers confuse you. Is it legal to play online slots in the Netherlands? The Netherlands, like many other countries, has not adequately updated its laws to include the expansion of the Internet. This leaves lots of grey area about whether or not it is legal for Dutch residents to gamble online. Technically, online gambling is legal, provided the vendor is licensed within the Netherlands. The catch here is there isn’t a single online casino licensed in the Netherlands, leaving many keen punters doing exactly what the Dutch government doesn’t want – turning to offshore online casinos instead. While the Netherlands government has done its best to ban online gambling, the restrictions have not been effective and hundreds of online casinos around the world continue to cater to Dutch players. The government has previously attempted to blacklist online gambling sites and stop banks from dealing with casino operators, but the attempts have been unsuccessful. In 2015, a gambling bill was passed in the Dutch Lower House to allow the issuing of Netherlands licenses to online operators, hoping to bring more income tax into the country. The law is expected to come into effect in late 2017. Until then, Dutch players can play without legal consequence at any licensed offshore casino, but will not be protected by Dutch law if an issue was to arise with the offshore vendor. Despite the murky laws regarding online gambling in the Netherlands, many of the world’s best online casinos continue to offer their services to Dutch players. These casinos are all licensed offshore, operating under the rules and regulations of such trusted gambling jurisdictions as Malta, the United Kingdom, Gibraltar and the Isle of Man. Our number one recommended online slots site for players from the Netherlands is G’day Casino. G’day has been around for years, firmly establishing itself as one of the leaders in the online casino industry. Here you’ll find hundreds of slot games available to play for real money using EUR directly over your Web browser without having to download any software. 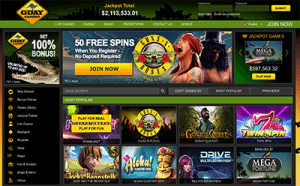 G’day offers slots from such premium software providers as NetEnt, Quickspin, Leander and more. A large selection of G’day Casino’s slot games have also been optimised for mobile play on smartphone and tablet. You can sign up for an account at any of these online casinos using our links above to get access to some exclusive welcome bonuses customised for Dutch players. You may be wondering what makes our recommended casinos so special, and the answer is there’s a myriad of factors that we check for before endorsing an online venue. First and foremost, the site must be legally licensed by a reputable offshore gambling jurisdiction. This ensures the site is operating under the strict laws and regulations set by its licensing country and is not just some rogue operator hoping to scam vulnerable people out of their hard-earned Euros. Once we’ve established a slot site is running above board, there are many other features it must have to make it worthy of our endorsement. It should offer a wide range of real money slot games from leading software developers, with games optimised for both desktop and mobile play on all data-enabled operating systems. Trusted banking methods should be offered for instant deposits, with all payments protected by a minimum of 128 Bit Digital SSL (Secure Socket Layer) encryption security. The best online casinos also offer a selection of bonus and promotional offers to registered players, from welcome bonuses to one-off promos, as well as reward programs to recognise player loyalty. Still not sure if an online casino is worth your time or money? Stick with the slot sites recommended above – these tick all the right boxes and warmly accept players from the Netherlands. To play online slot games for real money, you’ll first need to sign up for an account with a trusted casino. This is a quick and painless process that simply requires entry of your basic personal information, like name, date of birth and address. Be sure to enter these details correctly if you’re hoping to win real money, as proof of identity will likely be required when it comes time to cash out any of your winnings. Once you have a login, go to the casino’s banking section and select your preferred payment method. Follow the prompts to enter the amount of EUR you wish to transfer, and the money will be transferred instantly into your account (unless you’re depositing via bank transfer – these can take a few business days to process). Now all you need to do is choose from the hundreds of slot games on offer, load the game directly over your Web browser without downloading anything and start spinning the reels for your chance to win.